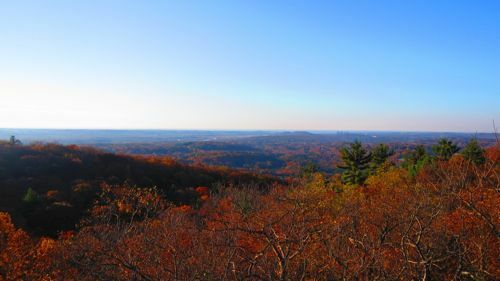 For more on one particular hike up to the tower (mine), go here. 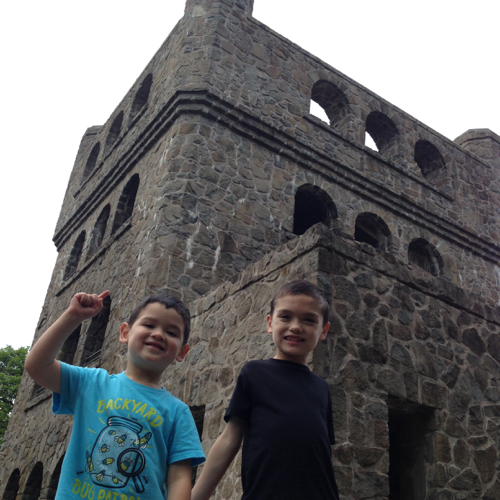 For another hike up to the tower with my sons, go here. I guess it’s prudent for me to “warn” you about potential crowds. Even on the day I took some of the accompanying pictures I wasn’t alone despite the 3+ feet of snow on the ground. 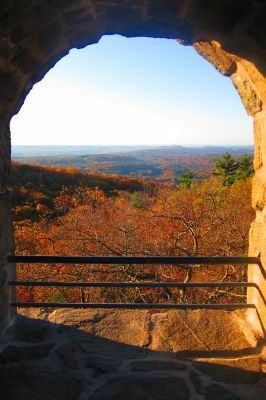 The most popular trail up to the tower is the 1.6 mile (one-way) Tower Trail. It starts from the picnic grove behind the main entrance’s parking lot and is a nice wide graded path that winds up the Giant’s shoulder and then over to the tower. It’s never too steep at all and really has some spectacular sights along the way like the Giant’s chin (cliffs) and a view north from, let’s say… the chest area. 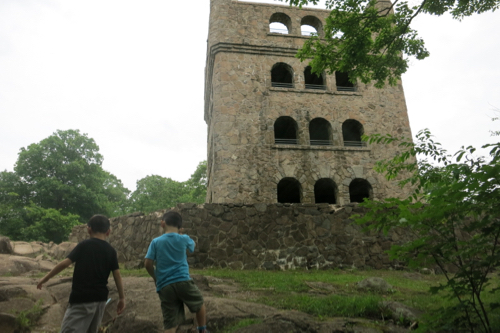 The tower is square and doesn’t have steps to the top, but rather a series of fairly steep ramps. On the day these snowy pictures were taken, the ramps were sheer ice almost all the way up due to some melting and then refreezing. Each level has a little landing area with lookouts but really, why wouldn’t you go all the way up to the top? 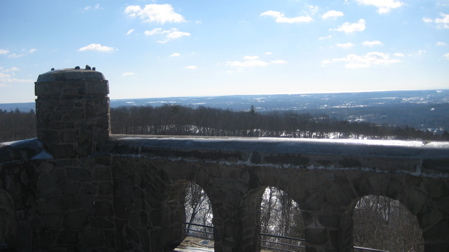 As with all these lookout towers, there’s a nice 360-degree view of New Haven County. Long Island Sound shimmers to the south, just beyond the city of New Haven. It’s cool to see East and West Rocks down there too, as they look much smaller than the Giant – they also provide excellent views of the Giant in repose and should both be on your to-do list if you haven’t already. 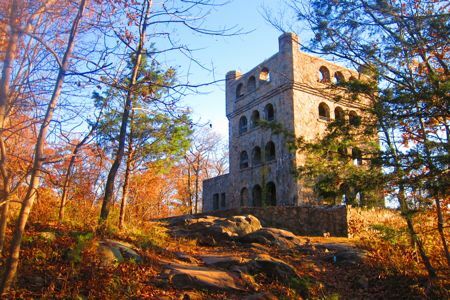 The tower was built in the late 1930’s by the Civilian Conservation Corps (CCC) as part of the Works Progress Administration and renovated in the 1980’s. It’s fairly well-kept – at least in February. Officially, tower turned 75 on October 15, 2014. There are some not-so-hidden cool aspects to the tower. 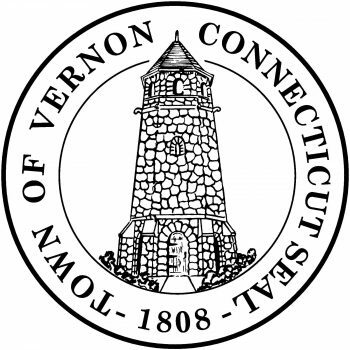 A spider atop its web was incorporated into the design; it is still displayed prominently in the third floor window on the west side of the tower. Most agree that the web was included as a tribute to the WPA project director, Henry Webb. On the opposite side of the building, if you look closely, you can make out the head of a dog. There are conflicting stories as to how the dog came to be there…. some claim that it symbolizes Webb’s good friend, architect Russell Barker (get it); others say that the dog’s head bears close resemblance to that of Webb’s trusty doberman. It’s a lovely tower and one that most people know about. In fact, the tower receives about 190,000 visitors each year. But like I said, there are many other ways to reach the tower not via the Tower Trail. 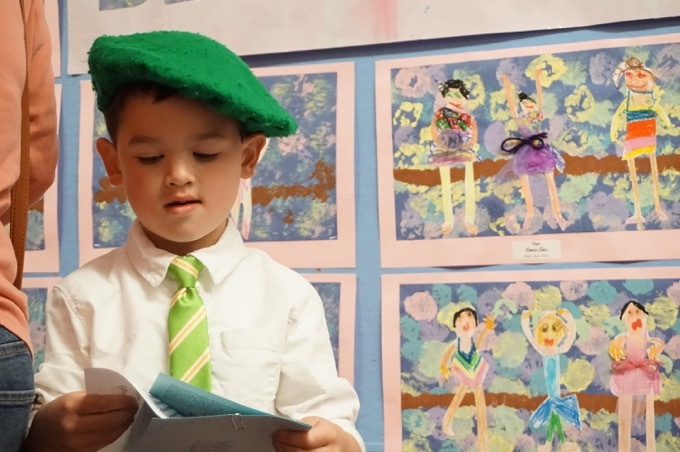 Just check out the links below, print off a map, and go have a Giant adventure. 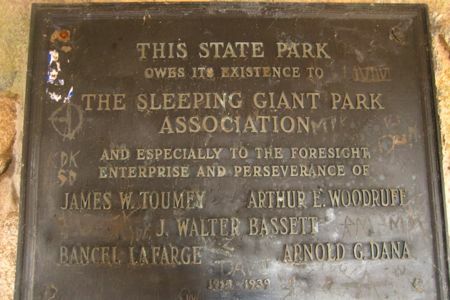 Hi, regarding the dog head carved into the side of the sleeping giant tower, I had been told that my grandfather ,who worked on the tower in the 1930s had carved it. His name was Frank Wolf and was told by my grandmother he carved it to resemble a wolf head. Thanks for letting me share.